Bank of Beirut began its operations in 1963 with the determination of becoming a “Universal Bank”. Today, our efforts towards providing high-end services and customer convenience have been appreciated both locally and internationally. 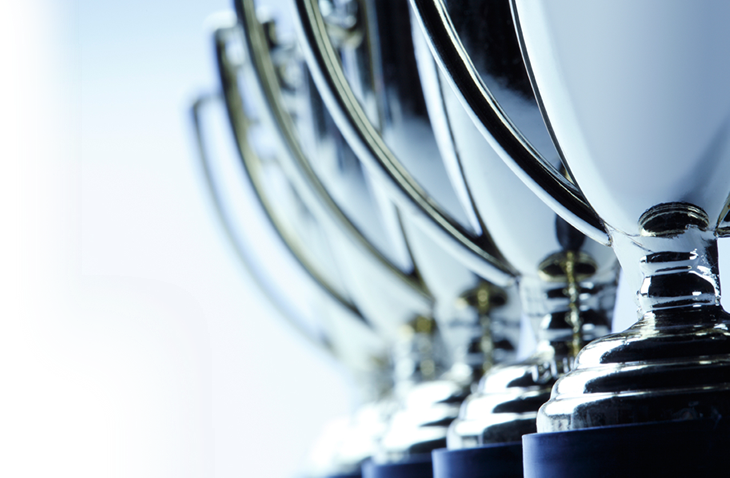 Professionalism, commitment and high performance have rendered Bank of Beirut numerous awards and recognitions from the most respected financial world journals and institutions. 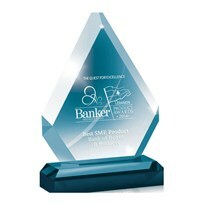 Bank of Beirut has reaped the “Fastest growing bank in Lebanon” award by Banker Middle East. Bank of Beirut has been recognized as the Best Retail Bank in Lebanon by the Banker Middle East Industry Award. Bank of Beirut was granted the Banker Middle East “Best Online Banking” Award 2016 as a tribute to the Bank’s online platform, which is powered with considerable secure features and a complete suite of payments and transfer services on both the corporate and the retail levels. Bank of Beirut has won the “Best SME product” Award 2016 by Banker Middle East magazine. The recognition is an endorsement of Bank of Beirut’s long history of serving SMEs, start-ups and entrepreneurs and a tribute to its “B-Business” package. 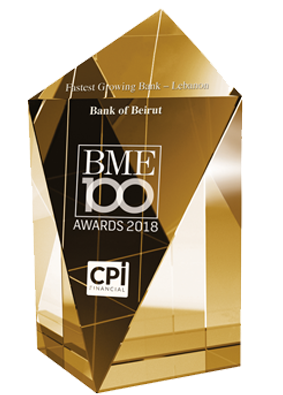 Bank of Beirut was granted the CITI Straight Through Processing (STP) Award for the second consecutive year, in recognition of the bank’s excellent quality and accuracy in delivering commercial & treasury payments. This award is annually given to the best banks by their main USD clearer to recognize their accuracy in formatting foreign currency payments. Bank of Beirut was named “Best Transaction Bank in Lebanon” by Banker Middle East magazine. Dr. Salim Sfeir, Chairman – CEO of Bank of Beirut was granted the Banker Middle East Award for his outstanding contribution to Banking and Finance. Bank of Beirut was awarded “Best Transaction Bank in the Levant” by Banker Middle East Industry Award. Bank of Beirut received from Commerzbank AG Frankfurt/Germany, the STP ( Straight Through Payments) Award 2015 for Excellent Quality in the delivery of commercial payments and financial institution transfers. Bank of Beirut was granted the Banker Middle East “Best Fund” Award 2015 in recognition of its high-performing “Optimal Investment Fund”. Bank of Beirut won the “Best Cash Management” Award at the Banker ME Levant Product Awards 2015.